Chartres Events February sparks with an important moment of the city history - Weekend Henri IV. Henri IV is the only French king who has been crowned in Chartres at the cathedral. Let's unpack Chartres Events February package for 2013 and check out the on-going events and some of my top picks! 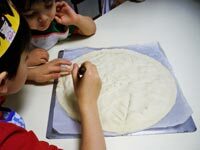 Remember to check out on-going events in details on Chartres Events Calendar ! 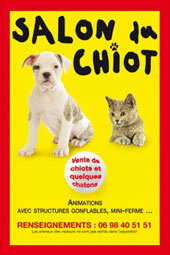 Salon du Chiot is an annual Puppy Fair (and Kitten), presents 50 puppies breeds and several kittens, breeders, free access to inflatable castle for visitors. Animals are not allowed to enter! 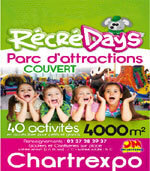 Ticket: 6€ for adults, 7€ for 2 - 6 years, free for under 2. Indoor amusement park for all ages! Ball pool, ecologic carousel, trampoline, sliding, wooden toys and many more...ultimate fun for children as well for adults! February 1 : Musiques d'un Siècle - classical music, Enssemble Zerlina, ticket for adult: 12€, under 25: 7€, children: 5€. February 11 and 12: Molly Bloom - theater, by Laurent Laffargue with Céline Sallette, ticket for adult: 23€, under 25: 15€, children: 9€. February 14: Instants Critiques - theater, François Morel, ticket for adult: 23€, under 25: 15€, children: 9€. February 18: Le Bourgeois Gentilhomme - theater, Molière and Mully, ticket for adult: 23€, under 25: 15€, children: 9€. February 20: En Piste - contemporary dance, Compagnie Daniel Marrieu - Astrakan, ticket for adult: 23€, under 25: 15€, children: 9€. February 20 - 22: Dreyfus, L'Amour Pour Resister, by Maryvonne Coutrot, Thursday at 9pm, Friday at 2.30pm and 9pm, Saturday at 5pm and 9pm. February 18 - 26: Moliere Dans Tous Ses Eclats (of Stéphanie Marino and Nicolas Devort), ticket: 15€. February 1 - 2 from 8.30pm: Le Petit Bal Perdu, theater and music, ticket: 14€. In memorial of the coronation of Henri de Navarre (Henri IV), the only king of France who has been crowned in Chartres in 1594. 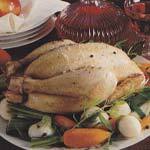 During this weekend, Poule au Pot becomes the today's menu at restaurants, the favorite menu of the king. Chicken broth and wine tasting and also some entertainments liven up this weekend of Henri IV. Keep in mind that Chartres Events February 2014 may not reflect changes or cancellation so please first check out and confirm by yourself before making any reservation.